"The Bertani winery was founded in 1857 by the brothers Giovan Battista and Gaetano Bertani, in Quinto di Valpantena, north of Verona. Gaetano was an expert in the art of winemaking, having learnt new techniques in France from Professor Guyot, still considered a leading expert in viticulture today. The start of Bertani's activity coincided with the spirit of innovation that drove them to use the latest production techniques, both in the vineyard and in the cellar, and applying them to all the estates in Valpantena and Soave, while respecting the territory and the farming traditions in the area. High level professionalism, quality, business acumen and spirit of innovation were the traits that made the two brothers stand out right from the start in the winemaking sector in Verona. Bertani was one of the first companies in Italy to understand the value of bottled wine; huge investments were made right from the start in the vineyards and in the cellar, to bottle and export Italian quality all over the world with Bertani wines, which crossed the Atlantic and were already popular in many US cities by the end of the nineteenth century. 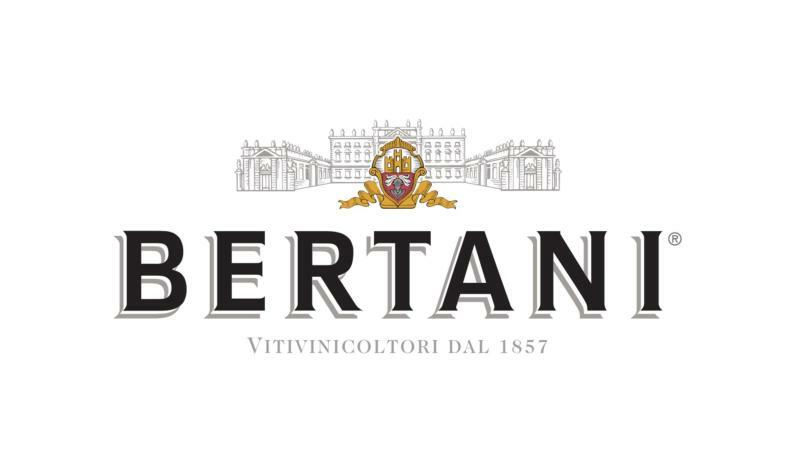 Bertani was founded at the time of the Italian Unification, with the desire to proudly represent the excellence of a new nation with a thousand-year-old culture. This commitment and the quality of Bertani wines helped it to achieve excellence in 1923: the royal warrant. Although it is an outdated symbol now that Italy is a republic, for us it still represents the achievement of the highest quality. The constant commitment made in viticulture and winemaking induced the Accademia di Agricoltura, Arti e Commercio di Verona (Academy of Agriculture and Commerce of Verona) to nominate Bertani as a model farm in 1870, thanks to its professionalism, the introduction of monoculture and new training systems to the vineyards that characterised the family's spirit of enterprise right from the start. And that wasn't all: the quality of Bertani wine asserted itself straightaway for its elegance, so much so as that the Soave was on the menu at King George VI's coronation in England, in 1937.
" Dark ruby core, red to platinum rim. Plum, cocoa powder, cherry cordial. Dried aromatic herbs. Sour cherry palate, black tea and cherry pit. Dusty tannin profile with mid-palate grip and a generous coffee bean finish. Alcohol and acid are moderate and balanced. Good concentration. Pure and linear. "Dark ruby core, red to platinum rim. Plum, cocoa powder, cherry cordial. Dried aromatic herbs. Sour cherry palate, black tea and cherry pit. Dusty tannin profile with mid-palate grip and a generous coffee bean finish. Alcohol and acid are moderate and balanced. Good concentration. Pure and linear.